The upcoming American bicentennial provided the impetus for the United States National Conference of Catholic Bishops to issue in November, 1974, “A Document on Ecclesiastical Archives”. The bishops lamented that the American Catholic Experience had not been “penetrated to the heart” because of the lack of care given the historical records. Among those lobbying the bishops for such a statement were the eminent U.S. Catholic historian, John Tracy Ellis and his former student, Msgr. Francis J. Weber, archivist of the Archdiocese of Los Angeles. The celebration of the nation’s 200th birthday was thought a fitting time to examine our “duties to the past”. The bishops called for a nation wide effort “to preserve and organize” records of dioceses, religious orders and Catholic institutions. The document called for the appointment of “properly qualified” persons as diocesan archivists. 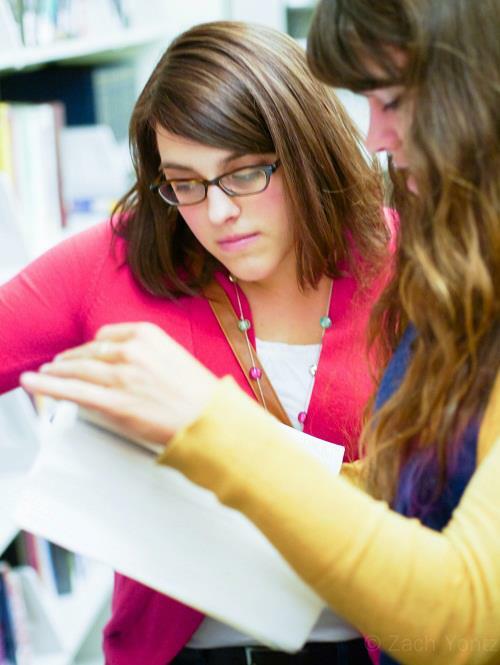 Experienced diocesan archivists were encouraged to hold training courses for those new to the field. Lastly the bishops expressed the hope that access to diocesan archives would not be “unduly restricted”. Despite the 1917 Code of Canon Law mandating diocesan archives, there were not many in existence in the United States. Fewer yet had properly trained archivists. One of the few expert archivists was Fr. Francis J. Weber at the Archdiocese of Los Angeles, who published an article on “Chancery Archives” in the Society of American Archivist (SAA) publication, the American Archivist – in April, 1965. The documents of Vatican II on religious life urged religious to look to their original charism to guide their renewal. Research into founding documentation and enthusiasm for the national bicentennial, led to a blossoming of archives in religious communities. The development of archives in congregations of women religious is documented in volume 33 of the American Archivist published in 1970 by Sr. Mary A. Healey, B.V.M. There has long been a close connection between libraries and archives and the Catholic Library Association (CLA) official publication Catholic Library World throughout 1974 and 1975 featured articles regarding Catholic archives. Librarians with archival responsibility began an archives section with its own newsletter. The CLA began sponsoring workshops for those responsible for “The Religious Archives”. Rev. John. B. De Mayo, archivist of the Archdiocese of Philadelphia, held a number of these. Rev. Norbert Brockman, S.M., of the Bergamo Center began holding annual religious archives workshops in 1975. At a breakfast meeting of Catholic archivists during the SAA meeting in Nashville in October 1978, a few diocesan archivists discussed the possibility and the advantages of a national organization. An announcement of the first meeting of diocesan archivists was contained in the Catholic Archives Newsletter which was first issued in January 1979. James O’Toole, the archivist for the Archdiocese of Boston was founding editor of the newsletter. The newsletter also contained information about the Society of American Archivists and the Leadership Conference of Women Religious (LCWR) Archivists Projects were included. The LCWR had just completed a series of training workshops for religious congregation archivists. Among the conveners of the initial meeting were Rev. M. Edmund Hussey, archivist of the archdiocese of Cincinnati; James O’Toole of the archdiocese of Boston and Rev. Msgr. Francis J. Weber, archivist of the archdiocese of Los Angeles. The Bergamo Center (a Marianist Learning Center) in Dayton was the site of the initial conference held March 20 – 23, 1979. Members of the hierarchy rallied behind the meeting especially Cardinal Medeiros of Boston, Archbishop Bernardin of Cincinnati and Bishop Dozier of Memphis. Forty-three dioceses were represented. Michigan had the most dioceses represented with five. Illinois was second with four dioceses represented. The presenters for the conference were Rev. Dr. Norbert Brockman, S.M., Mr. James O’Toole, Patrick Nolan, PhD. of Wright State University and the patriarch of Lutheran archives, Dr. August R. Sueflow. One afternoon Archbishop Joseph L. Bernardin, who chaired the NCCB Canonical Affairs Committee, met with participants to encourage their work and to ask their recommendations as to revising the canons on archives. Archbishop Bernardin also requested input on the use of parish sacramental records for genealogical research. As a follow up to the meeting, the archivists of Cincinnati, Boston and Los Angeles sent out a letter to each diocese indicating that a two day meeting followed by a basic training workshop would be held in 1980 for diocesan archivists. The planning committee consisted of archivists Nora Pollard of Baton Rouge, James O’Toole of Boston, Fr. Harry Culkin of Brooklyn, Fr. Ed Hussey of Cincinnati, Sr. Rita Agnes Masse of Columbus, Msgr. Francis Weber of Los Angeles and Sr. Marguerite Brou of New Orleans. Our Lady of the Pilar Center in San Antonio, Texas, was the host site for the second meeting in February 1980. Thirty-three archivists attended the two day meeting and twenty-seven attended the workshop. The diocesan archivists met again in conjunction with the Society of American Archivists in Cincinnati on September 29, 1980. Recommendations to be made to the NCCB Canonical Affairs Committee were discussed. The archivists of Detroit, Rev. Leonard Blair, Boston, James O’Toole, and of St. Paul/Minneapolis, Rev. Leo Tibersar, prepared the text of recommendations on access and use of sacramental records, the creation of records on permanent and durable paper and the care of archives in newly created dioceses. The committee was appointed at the February meeting and the text was fine tuned at the September meeting. The NCCB accepted the recommendations and they were circulated to all the bishops by the NCCB general secretary in a memorandum dated April 16, 1981. The fourth meeting of diocesan archivists was held in conjunction with SAA on August 31, 1981 at Berkley, California. Rev. Leonard Blair of Detroit coordinated the program. In preparation for the meeting, Fr. Harry Culkin sent out a survey to diocesan archivists, the results of which were used as a springboard for discussion in Berkley. The survey results pointed to the need for a national organization. At that meeting a steering committee was appointed to draft a proposal for a formal diocesan archivist organization. The committee was chaired by Rev. (later Bishop) Leonard Blair of Detroit. Other committee members were Rev. Harry Culkin of Brooklyn, Rev. Edmund Hussey of Cincinnati, Sr. Catherine Markey of Little Rock and Msgr. Francis Weber of Los Angeles. Thirty-seven U.S. and Canadian dioceses were represented at the Boston meeting held in conjunction with SAA in the fall of 1982. The proposed constitution and by laws were presented to those assembled. The committee had debated the pros and cons of a Catholic archive organization versus a more focused group of only diocesan archivists and the issue of an insular group versus an organization more integrated into the larger archival profession. The constitution and by laws were sent to all diocesan archivists along with a ballot for voting on them. When these were approved the steering committee proceeded with the election of officers. The first officers were: president, James O’Toole of Boston, vice-president-president elect, Fr. Leonard P. Blair of Detroit, secretary-treasurer, Fr. Leo J. Tibersar of St. Paul/Minneapolis. The executive board members were Fr. Harry M. Culkin, of Brooklyn, Fr. M. Edmund Hussey of Cincinnati, Sr. Catherine Louise La Coste of San Diego, and Ofelia Tennant of San Antonio. The association dues were $15.00 a year and the meetings were to be held annually in conjunction with the Society of American Archivists. In keeping with the 1974 statement of the bishops on archives, which mandated that the experienced archivists train those new to the field, a workshop coordinated by James O’Toole of Boston and Beth Yakel of Detroit was held in June 1984 at St. John Provincial Seminary in Plymouth, Michigan. This was the association’s first summer conference. To continue the connection with the NCCB an episcopal moderator for the new association was sought. 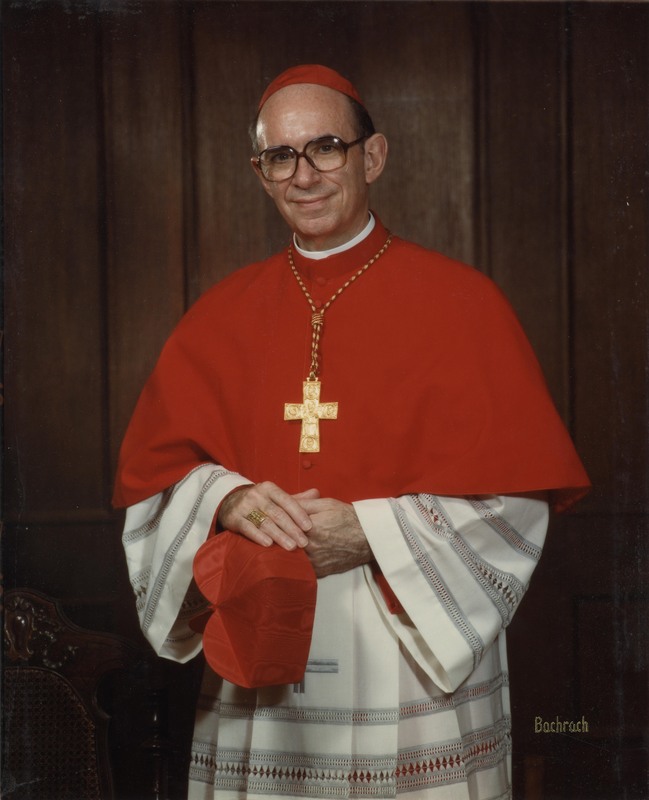 Archbishop (later Cardinal) Edmund C. Szoka of Detroit served as the first moderator from 1985 – 1990. In March 1986 Archbishop Szoka wrote to each of his fellow bishops encouraging them to establish an archival program in their diocese if one did not already exist. That year O’Toole began work on a manual for diocesan archivists, the first issue of the ACDA Bulletin was published under the editorship of Beth Yakel of Detroit, and the association reprinted 500 copies of David P. Gray’s Records Management for Parishes and Schools for distribution. In 1986 David P. Gray of Bismark and Elizabeth Yakel of Detroit were asked to draft a grant proposal to fund a survey of the holding of U.S. diocesan archives and produce a guide. The proposal was rejected because of a fear of lack of access to the collections by researchers. A request was sent to the ordinary of each diocese asking for their cooperation with the project and to sign a statement indicating that the archives were open to researchers. Nearly 130 positive responses were received. In November 1987 the revised grant proposal committee of David P. Gray, Elizabeth Yakel and Philip B. Eppard of Boston (project director) submitted its request to the National Endowment for the Humanities. The proposal was again rejected the following June. In response to this the ACDA Board decided to develop a policy outlining a minimum standard for access. Ronald D. Patkus wrote an article in the December 1989 Bulletin entitled “Towards, a Standard Access Policy”. The committee’s final proposal was published in the December 1990 Bulletin. The final proposal was adopted by the ACDA Board without any changes. The adopted policy was placed in the ACDA publication Basic Standards for Diocesan Archives: A Guide for Bishops, Chancellors and Archivists which was compiled by Dr. James O’Toole and sent to each ACDA member along with the March 1991 Bulletin. The ACDA was listed as a national organization in the Official Catholic Directory for the first time in 1987. Paid membership that year was recorded as 125. The high turn over in diocesan archives staff and their limited credentials for archival work led the executive board to plan further summer conferences. The next conference, which was held in the summer of 1989, was the first at St. Mary on the Lake University at Mundelein. ACDA jointly sponsored the workshop with the Archdiocese of Chicago and Catholic University of America. The conference was held July 29 – August 1 in celebration of the bicentennial of the United States Hierarchy. Rev. Gerald Fogarty, S.J., professor of religious studies at the University of Virginia, delivered the keynote address to the eighty-five participants from sixty-four dioceses. Since the response was so good the ACDA board decided at their 1989 annual meeting in St. Louis to have another summer conference at Mundelein in 1990. Rev. Cyprian Davis, OSB, of St. Meinrad Seminary was the keynote speaker of the association’s second Mundelein conference held in July 1990. His address was entitled “Documenting Black Catholic History at the Diocesan Level”. It was decided that the proceedings of the 1989 conference should be published. They were edited by Frederick J. Steilow, PhD., of Catholic University of America, John J. Treanor of Chicago, and Timothy A. Slavin of the Rhode Island State Archives. Proceedings were published and distributed to the membership for several of the succeeding conferences. The constitution and by-laws were amended to have the annual meeting at a summer conference every two years and to meet in alternate years in conjunction with SAA. Jim O’Toole proposed that the society have an education officer. Ron Patkus accepted the position and his vision of education of ACDA appeared in the March 1990 Bulletin. At the annual meeting held in the fall of 1991 in Philadelphia, a new grant proposal to develop shared appraisal and descriptive standards was presented. John Treanor of Chicago, Ron Patkus of Boston and Tim Carey of Milwaukee were appointed to this third grant proposal committee. A review committee was put in place at the same time. The ACDA Bulletin editors, Nancy Sandleback and Patrick Cunningham of Chicago compiled a bibliography of diocesan histories which was attached to the July 1992 Bulletin. The last updated version was published in the July 1996 Bulletin. The 1992 summer conference keynote was given by Rudolph Vecoli, PhD., Director of the Immigration History Research Center at the University of Minnesota. One of the sessions of the conference was focused on the proposed process of developing shared appraisal and descriptive standards with six dioceses: Boston, Chicago, Detroit, Milwaukee, Los Angeles and San Antonio, participating in the first phase. Unfortunately the plan was never implemented. Progress continued on the long range planning survey and on the first ACDA membership director which was released in April 1993. The directory was organized by name, repository, and expertise. One of ACDA’s fondest tall tales involves the Swamp Tour which occurred as part of the 1993 annual meeting in New Orleans. According to their usual practice, the executive board met the night before the annual meeting. The appointment of a new education officer, progress on the descriptive standards and shared appraisal grant proposal, and the final report of long range planning survey were on the agenda. After the annual meeting the following day Msgr. Roland J. Boadreaux hosted a tour on a mini bus to Houma-Thibodaux to visit the Historica lResearch Center. On the way through the wetlands and bayous were unscheduled stops including most of Msgr. Boadreaux previous assignments. Two bishops, the diocesan staff, the archives advisory board members and archive volunteers were convinced they had been eaten by alligators because they arrived so late. The stop in Houma-Thibodaux had to be extremely brief because many of the tour participants had tickets to the SAA banquet that evening. At the 1994 annual meeting the Dr. James M. O’Toole Scholarship was founded to cover the cost of a registration for the first time at an ACDA summer conference. The scholarship was first awarded in 1996. Kinga Peszynska of the Catholic Archives of Texas proposed the development of a thesaurus of diocesan archives subject headings. A response sheet was sent to all members for input with the December 1996 Bulletin. During 1994 a new edition of the Art and Architecture Thesaurus and a thesaurus for manuscript collections entitled Standards for Archival Description: A Handbook were published. With the departure of Ron Patkus of Boston, the Shared Appraisal and Description Standards proposal had lost much momentum. No Catholic subject headings had been developed in over 30 years. The ACDA Thesaurus project was seen as at least a step in the right direction. Also discussed at the 1994 meeting was the microfilming of sacramental records. The conversation resulted in a microfilming practices survey being sent out the following year. The Catholic University of America archivist, Timothy Meaghen, was the keynote speaker at the 1996 summer conference at Mundelein. Msgr. Weber proposed awards for excellence in archives. Dr. Charles E. Nolan of New Orleans received the first Award of Excellence. Dr. Nolan chaired a committee to develop criteria for succeeding awards. Establishing links with other Catholic groups, a recommendation of the long range survey report was discussed. A report on the progress of the thesaurus project was also given and a plea for organizational charts, findings and writings and retention schedules was made to assist the committee in their work. A second ACDA directory was published in November 1996. The first notice of the U.S. Catholic Historical Society proposal for the creation of Catholic Documentation Heritage Project appeared in the December 1996 Bulletin. Joseph Coen of Brooklyn provided the information at this and subsequent meetings. The 1997 meeting in Chicago was significant for its transitions. Sr. Catherine Louise La Coste concluded ten years of service to the organization as secretary-treasurer. The first diocesan archivist from outside the U.S., Mark Lerman of Toronto, took up his position on the executive board. Tim Carey of Milwaukee prepared a report on the February 1997, Pontifical Commission for the Cultural Heritage of the Church circular letter “The Pastoral Function of Church Archives”. The thesaurus committee presented a request at the executive board meeting for matching funds from ACDA for a grant proposal to be submitted in 1998. After much discussion the matching funding was narrowly approved. Joe Coen again reported on the U.S. Catholic Directory Heritage Project. With a new newsletter edition, the ACDA Bulletin became the ACDA Newsletter. Archbishop Franceso Marchisano and Dr. Cristine Carlo-Stella of the Pontifical Commission for the Cultural Heritage of the Church in Rome were special guests for the bi-annual summer conference at Mundelein in July 1998. Archbishop Marchisano gave the keynote address. An international flavor continued with presentations by Dr. Helmut Bairer, director of the Regional Lutheran Archives in Bavaria and by Jan Van Haastrecht, Archivist of the Netherlands Reformed Church. The constitution and by-laws revision committee presented recommended revisions which were accepted by the executive board and membership. It was announced that the Thesaurus committee had received a $10,000 grant from the Raskob Foundation for Catholic Activities. Joe Coen gave an update on the U.S. Catholic Documentation Heritage Project and ACDA member participation in the project. The October Bulletin began a series of articles by Mark Lerman of Toronto that became known as the Canadian Corner. The formation of a Canadian Chapter of ACDA was proposed. Lerman was elected vice-president/president-elect the following year. At the same time the first woman president of the association, Lisa May of Galveston-Houston, began her term of office. Building on the international component, the 2000 summer conference had over 70 individuals from the U.S., Canada, and the Caribbean. In keeping with established practice, two tracks, one for basic practices and one for advanced archivists were offered. Dr. O’Toole, ACDA founding president, gave the basic archive and record management track. 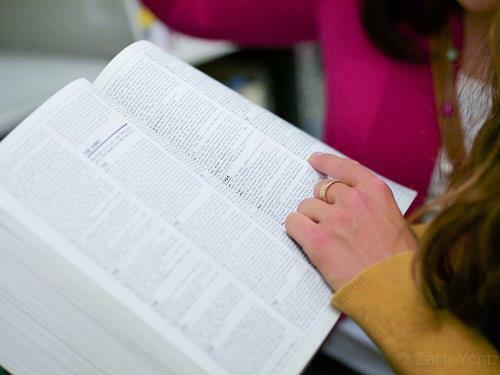 The society published its third directory and the “Thesaurus of Catholic Diocesan Terms”. The thesaurus was described as a work in process and members were encouraged to use it and report back with their observations. At the 2001 meeting, it was decided to mail a copy of the next issue of the Newsletter to all members of the U. S. hierarchy in the hope of raising their awareness of the archival program. The association’s 2002 summer conference was held at St. Mary of the LakeUniversity from July 26th to July 31st. The theme was “Ensuring Access While Preserving Our Heritage” ACDA Celebrates Twenty Years of Service to the Church”. (The association’s first constitution and by-laws were accepted and officers elected in 1982) The conference’s keynote speaker was Msgr. Charles Burns, former Archivist of the Secret Vatican Archives. Perennial topics like microfilming versus digitization, and what to do when a parish closes were among the issues addressed. Two of the association’s founders, Dr. James O’Toole and Msgr. Francis Weber were presented plaques of appreciation. Updating the basic standards manual and translating it into Spanish were items raised at the executive board meeting. The possibility of an association website was also raised as was that of a listserv the following year. The membership was saddened by the resignation for reasons of health of the newly installed president in September 2003. This necessitated a special election for vice-president/president-elect. 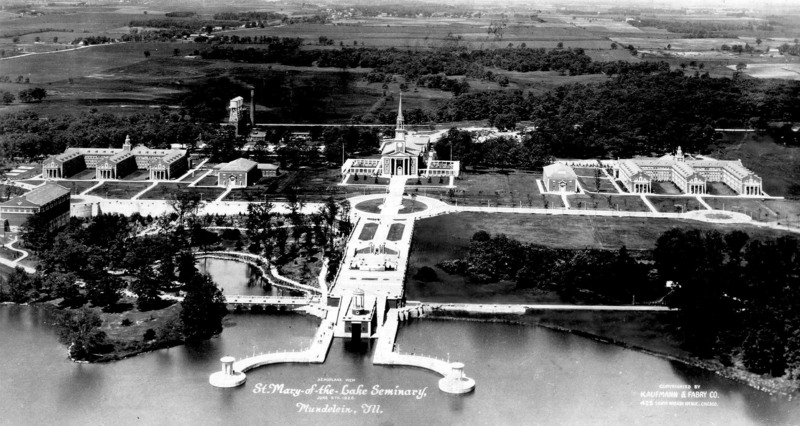 St. Mary of the Lake Seminary in Mundelein, IL. The tenth summer conference was held July 23-28, 2004, at the Center for Development in Ministry at St. Mary of the LakeUniversity. Clergy personnel files, records management, preservation and ethical issues facing diocesan archivists were among the topics sessions addressed. Leslie Tentler, PhD., author of a history of the Archdiocese of Detroit, gave the keynote address to the fifty-three conference participants. A technology subcommittee was established by President Tricia Pyne to facilitate the establishing of a website and listserv. A mentoring program was also discussed. Drafting a survey/census of diocesan archivists was also set in motion. New Orleans, the week before Hurricane Katrina, was the site of the 2005 annual meeting. The revision process of the constitution and by-laws began. The October Newsletter reported that the ACDA listserv was up and running. Lisa May of Galveston-Houston served as facilitator. The association congratulated Jac Treanor of Chicago on being named an SAA Fellow, the national association’s highest honor. The shadow of Hurricane Katrina gave direction to the 2006 summer conference. The theme was “Are You Prepared: The Role of the Diocesan Archivist from Everyday Tasks to Catastrophic Events”. The ACDA executive board proposed and the membership voted to cover the travel and lodging expenses for six volunteers to assist the Archdiocese of New Orleans with ongoing recovery efforts. The volunteers recovered sacred objects from parishes temporarily or permanently closed and completed written and pictorial inventories of the objects. Archivists from Chicago (Peggy Lavelle), San Antonio (Brother Ed Loch), Phoenix (Jim Neal), Boston (Robert Johnson-Lally), San Diego (David Gray), and Charleston (Brian Fahey) went to New Orleans in November 2006 for a week. A visual and audio report of the association members was presented at the Chicago meeting of the association in August 2007. For over twenty-five years the association has sought to ensure access to diocesan collections, foster the professional development of its members, establish standards for diocesan archival and records management programs and encourage collaboration with archival and historical associations.